Komal and Antony are from the Garden State, but envisioned a beachy escape for their wedding filled with sunshine and pina coladas! 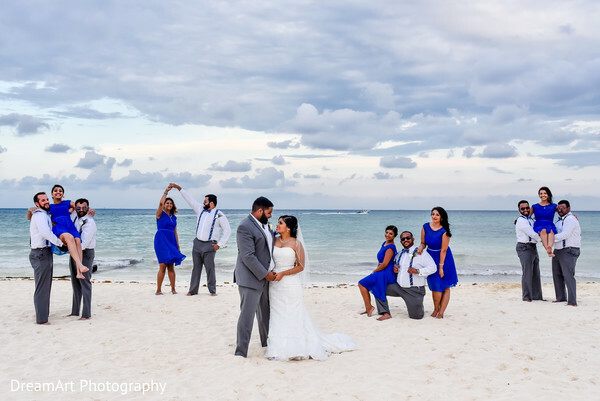 They decided upon Playa Del Carmen, Mexico for their wedding locale and we applaud their stellar choice! 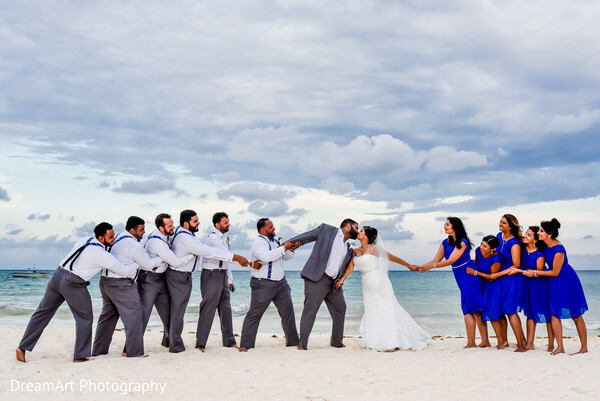 After taking a look at their weddings photos by DreamArt Photography we’re itching to book a beach vacation asap! 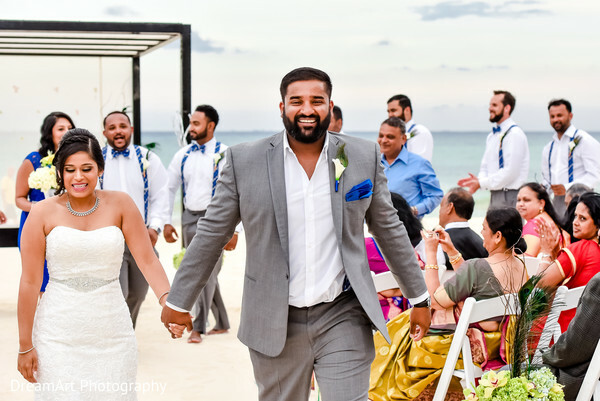 The busy couple wanted to enjoy their time in paradise to the max, so they brought in the help of Indian Destination Weddings to make sure their wedding vision came to life! 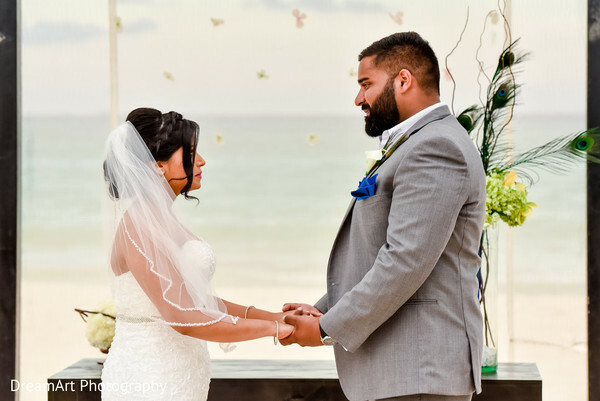 The couple chose the Playacar Palace for their venue, an intimate and luxurious hotel situated on a glistening white beach overlooking the Caribbean Sea. 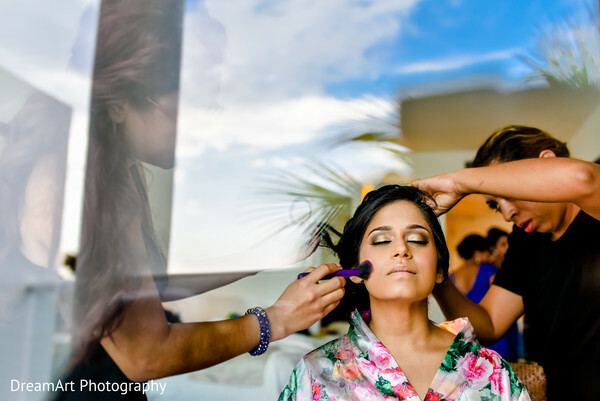 Though the vibe in Playa Del Carmen is relaxed and casual, the couple was 100% glamour at their ceremony! Maharani Komal wore a belted, beaded white gown with enchanting hair and makeup by MVP Hair & Make-Up Artistry, while her Raja Antony was suited up in crisp gray. 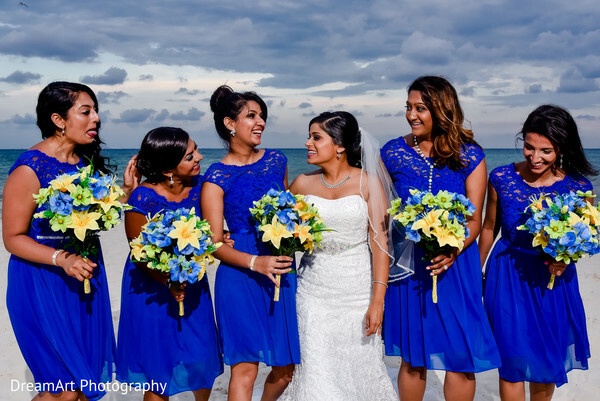 Their bridal party also looked beach ready, in vibrant blue hues that perfectly matched the ocean backdrop! GAMA Company created the most beautiful bouquets for Komal and her bridesmaids, and we’re loving the refined look of the affair! You can see all the loveliness in the full gallery! Makes you want to hop on a plane to Mexico right? 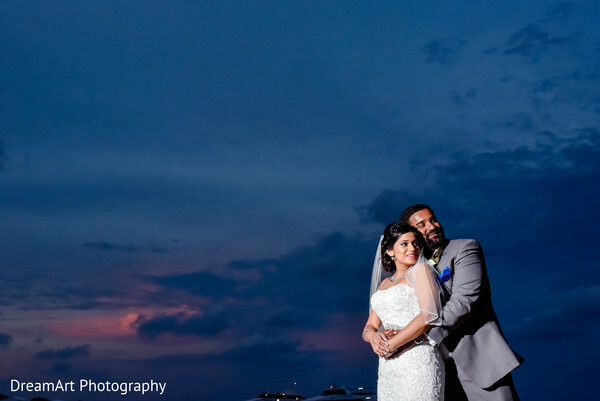 We'll see you in a bit with more sunshine from Komal & Antony's reception! 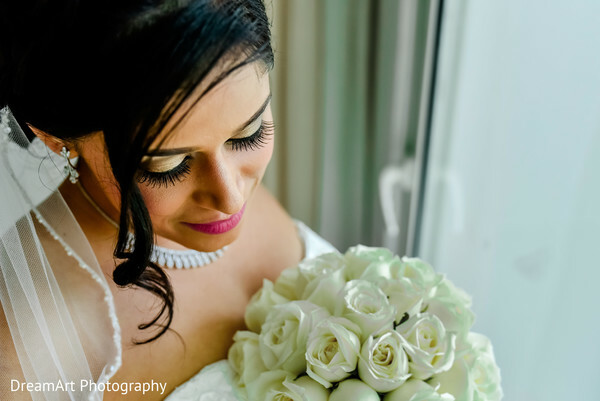 Indian Destination Weddings and MVP Hair & Make Up Artistry are members of the Platinum Guide. Love what you see? Explore their portfolios.